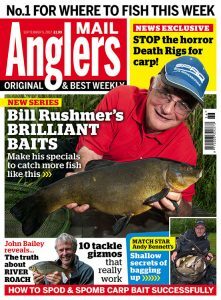 THE new Angler's Mail print magazine is out now, loaded with exclusive material that will brighten up your angling week. It costs just £1.99 and is loaded with essential content. 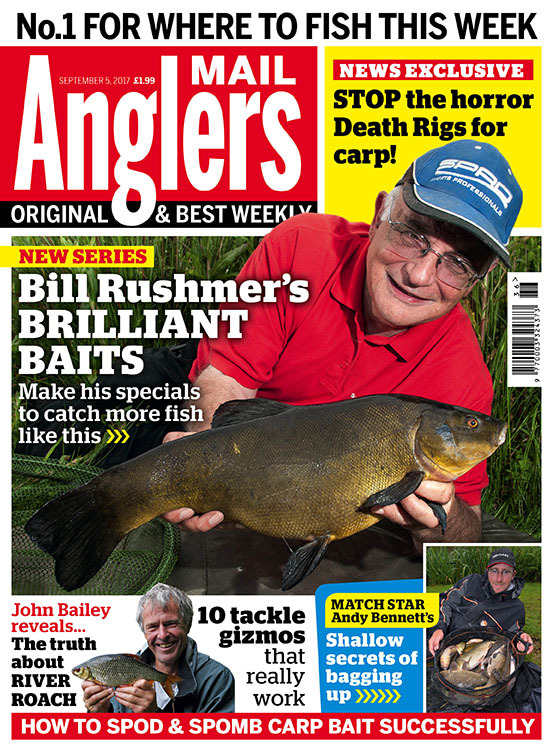 A new series starts in this issue - BILL RUSHMER’S BRILLIANT BAITS. This new Angler’s Mail series gives exclusive insight into highly effective baits that you can make, based upon Bill's many years of angling and science experience. Stop the shocking Death Rigs! PLUS the very best Where To Fish section - Angler's Mail's mega hotspots guide is exclusively compiled by experts who work hard to help YOU. Get yourself a subscription to Angler’s Mail print magazine at a great price to ensure it's delivered to your door every week – visit www.anglersmail.co.uk to subscribe and SAVE!